The design of workspaces is often undervalued. The right space can make a considerable contribution to the success of companies. Today and in the future, workspace design is the key to attracting new talents and maximizing productivity. Office Things Interiors use a consistent process to evaluate your workplace needs. Our strategic solutions will meet your needs today, and also help your business anticipate future trends and maximise potential. Our goal is to make your business processes and organisation evolve towards your strategic goal, through the space. We work with you to refine the details of your new space in terms of colours harmonies, surface materials and functional details. We also analyse and optimise the ergonomics and acoustics aspects and lighting of the work environment that contribute to the well-being and productivity of your people. The final space layout will be visualised in a very realistic way. In conjunction with our parent company Commercial Business Products Ltd our office interior design service can totally transform your working environment. We are fully independent and so can specify from all furniture manufactures and ranges, and we can produce interior design reports showing colour schemes, samples, and photographic examples so that you can ensure you get the best out of your office. We can even produce series of rendered near-photographic quality images of the proposed scheme and show you options with different colour schemes, finishes, flooring types and furniture ensuring that you know what your finished scheme will look like, before going ahead with it. We are also able to offer mood boards, hand rendering and artist’s impressions so that you can get a real feel for your scheme prior to installation. 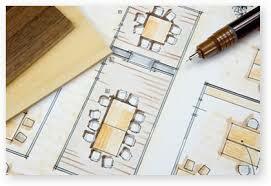 Through using our office design service, we can ensure that you make the most of your space. If you have an office currently, and are looking to improve the layout or appearance, then we would begin with a full site survey. This involves us carrying out a measured building survey of your office space and then drawing this information up via a CAD (Computer Aided Design) package. This drawing would include all key features of your space, such as partitions, windows, doors, radiators, etc and is measured using a Disto laser (a laser tape measure) to ensure accuracy. If you are looking to re-use any of your existing furniture, this would also be measured and drawn on to the CAD plan, so that you have an accurate record of what is where and how much space you have available. We can then begin our office design service, where we analyse where you have wasted space and how to make the most of your layout and furniture. If you are starting from fresh, our office design service again begins with ensuring we have an accurate set of CAD plans of the building, we would then discuss what you are hoping to gain from the space, showing you different types of furniture, and even different ways of working (such as touchdown spaces, quiet booths, etc), work these in the CAD plans, showing you various options as to how your office design would work. We can show you images of furniture types most suitable for your scheme and even recommend manufacturers. Please feel free to email or call us on 00353 – (0)1-4969957 to discuss how we can help.